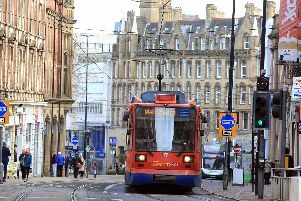 Bus bosses hope to upgrade Sheffield’s fleet of vehicles before a proposed congestion charge of up to £50 a day to drive in the city centre comes into force. Ben Gilligan, director of public transport at South Yorkshire Passenger Transport Executive, said he wanted to work with bus operators to minimise any potential fare rises. The congestion charge was announced by Sheffield Council earlier this month. Sheffield Council said the ‘Clean Air Zone’ will help tackle pollution and ‘save lives’. The plans will be considered by the council’s cabinet on November 27 and residents, businesses, taxi drivers and bus companies are set to be consulted from early 2019, with a possible implementation date of 2021. Mr Gilligan said: “We are really proud to have amongst the lowest fares in the country and we don’t want to do anything that risks this achievement. There are many issues that affect ticket prices and we can’t be sure what they will be in 2021. Kevin Belfield, managing director of First South Yorkshire, said the company was working with the council on the proposals. He said: “Air pollution is a big challenge in all large cities. Bus operators play a vital role in helping to find solutions to reduce air pollution and we want to do even more. Buses also help to reduce emissions made by cars, as one double decker can take 75 cars off the road. SYPTE public transport director Ben Gilligan. “We are working closely with Sheffield Council on this issue, and we’re awaiting further details on the formal consultation for this new proposal. “Figures show that buses contribute to 10 per cent of emissions. Over the last few years, the Council, First Bus and Stagecoach have invested millions in new ultra-low emission vehicles, including £9m this year. Kevin Belfield, managing director of First buses in South Yorkshire. 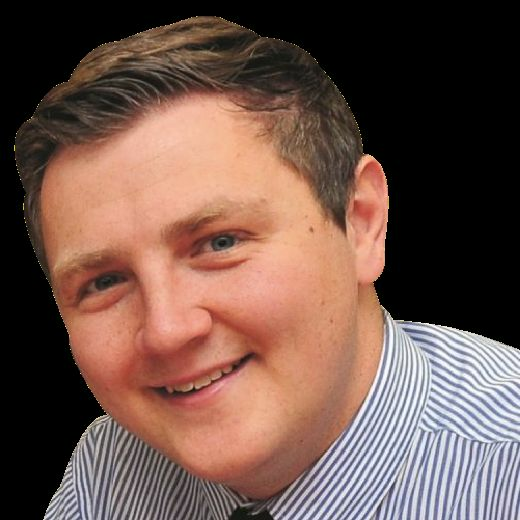 Coun Jack Scott, cabinet member for transport and development, said he hoped the charge will push people to choose more environmentally friendly vehicles. He said: “Air pollution is a major health problem and we know that people across the country including our children are breathing air that is not safe. “Our intention is to remove the most polluting vehicles from our road network by encouraging drivers to upgrade to cleaner vehicles rather than pay the charge. “We need funding from government to provide support, advice and finance to encourage people to upgrade their vehicles if required. “My vision is for air that is clean and safe for every single person in Sheffield. Achieving this is clearly a major piece of work but the council can’t do it alone. The council say they will need £40 million from the government to put the charge in place including cameras and signs. It comes under the council’s Clean Air Strategy, which launched in 2017, to improve the quality of the air in the city.